There are very few people who don’t appreciate fine foods. Sure, we’re all trying to eat as healthily as we can these days but if someone gives to a delicious treat as a gift, what can you do?It would be so rude to not indulge! By giving gourmet treats we are saying ‘go on, enjoy yourself, you deserve it’. I’m happy to take the hint and so will your recipient. You may, of course, wish to consider these items to buy for yourself, particularly if you’re entertaining. Entertaining guests is such a good excuse for a little indulgence. Even the most healthy of eaters will expect a little indulgence when they come to your dinner party or soirée. Another huge advantage of these products is that they are suitable for everyone – male or female, young or older – we all love treats. 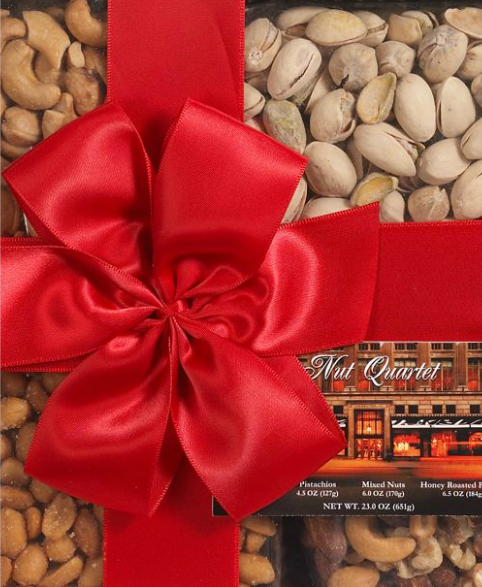 For this reason, these are often chosen as corporate gifts – a great way to thank your clients or your employees. And they are something all the family can enjoy. What could be better? One that we particularly enjoy.